John Munroe 1973 Brother Deluxe 333 Serial # L3365302 1973 Brother Deluxe 333 typewriter, Serial # L3365302 John Munroe's 1973 Brother Deluxe 333 typewriter. 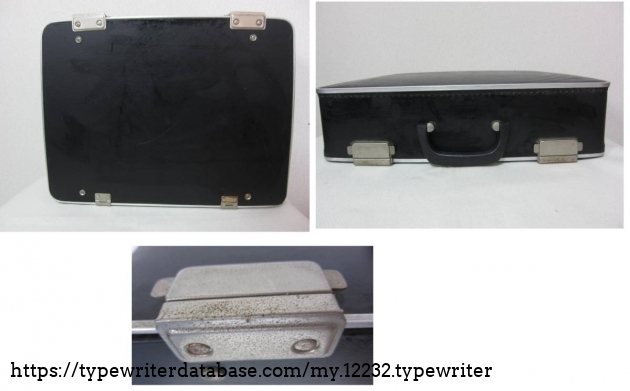 2019-04-11 2019-04-11 From the Virtual Typewriter Collection of John Munroe: 1973 Brother Deluxe 333 Serial # L3365302 Nice metal body typer, wide carriage is surprisingly in case. Pica/11cpi. Nice metal body typer, wide carriage is surprisingly in case. Pica/11cpi. Whew. Missing shift key in the usual hiding spot. Spring hooked back on to restore full shift lock function. From Toronto Canada. Tokyo-based entrepreneur since 1998 and meditation teacher since 2000. Learned to type in Grade 9 following mind-altering lunches and still experience flashbacks while typing. 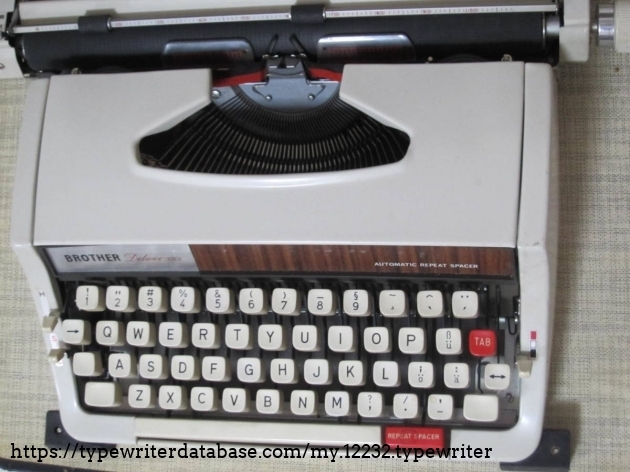 Mother did shorthand and typed 90 wpm as stenographer, dad pecked out haiku on his old typewriter as long as I remember. Moved to thermal printing, 8-character display CanoWord Pen 24 in 1986 when my typewriter broke, then to FujiXerox, Mac and iPhone. 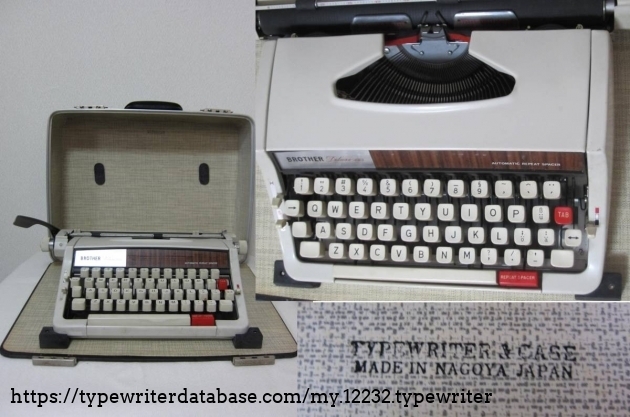 Bought my first typewriter of the new millennium (a Lettera 32) in March 2015. 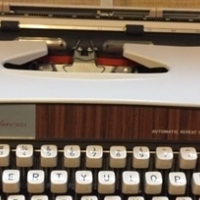 Muscle memory has graduated to neural reboot--every moment at the typewriter brings back fresh memories of type-happy childhood and visions of literary grandeur. 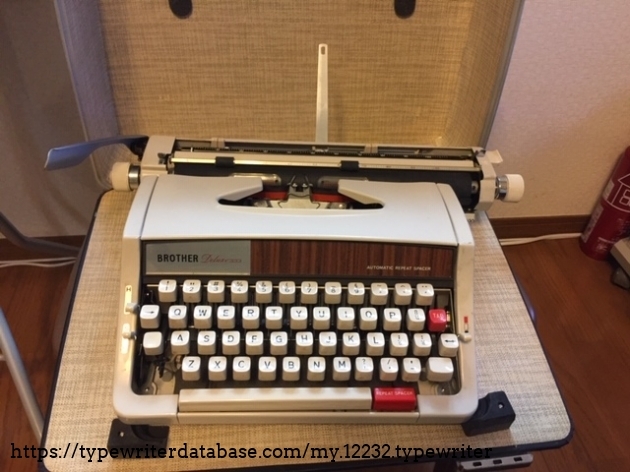 Use typewriter for inspiration/rough drafts and computer/iPhone (Scrivener/Evernote) for polishing. 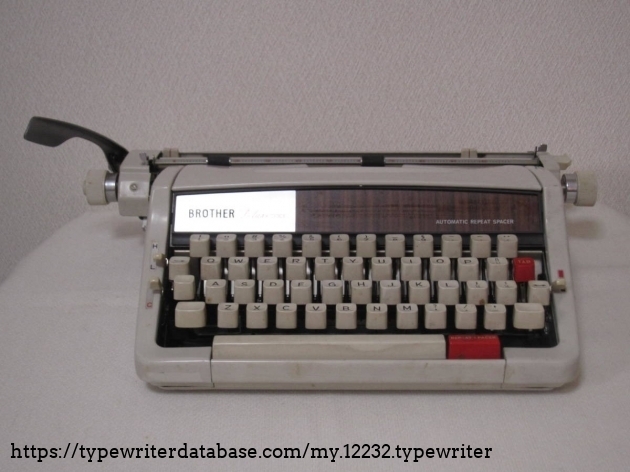 RESEARCH NOTE: When researching the Brother Deluxe 333 on a computer with lots of screen real estate, you may find that launching the Brother Serial Number page and the Brother Deluxe 333 By Model/Year/Serial page in new browser windows can give you interesting perspectives on changes throughout the model series.